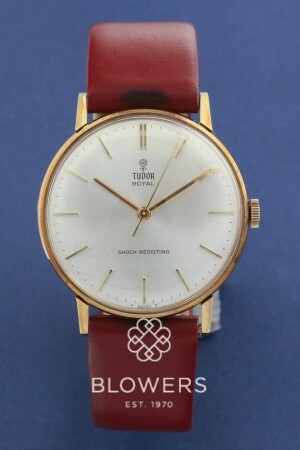 9ct Tudor Royal. Hand wound movement. Silver dial with index hour markers. 34mm 9ct Yellow Gold case. Tan leather non tudor strap with Original Tudor buckle. Box and service papers dated November 2018. SKU: 3050083. Categories: Tudor, Vintage.